Comment: Converted Sears bungalow built ca. 1922, with attic converted to half-upper story. Currently using a 2-ton separate HVAC that does not do the job in the summer. HVAC folks say it can't be upgraded to larger unit, recommend additional insulation, which is currently sparse. Comment: Spray foam two existing walls (one 13'x8' with two windows, and the other 11'x8' with one window). The walls form a corner of a first floor room in a 1949 Cape Cod style house. Original drywall and plaster have been removed. Comment: Spray foam to insulate and seal floor gaps. Norfolk Insulation Contractors are rated 4.55 out of 5 based on 182 reviews of 4 pros. 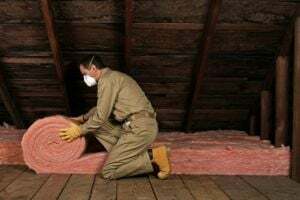 Not Looking for Insulation Contractors in Norfolk, VA?